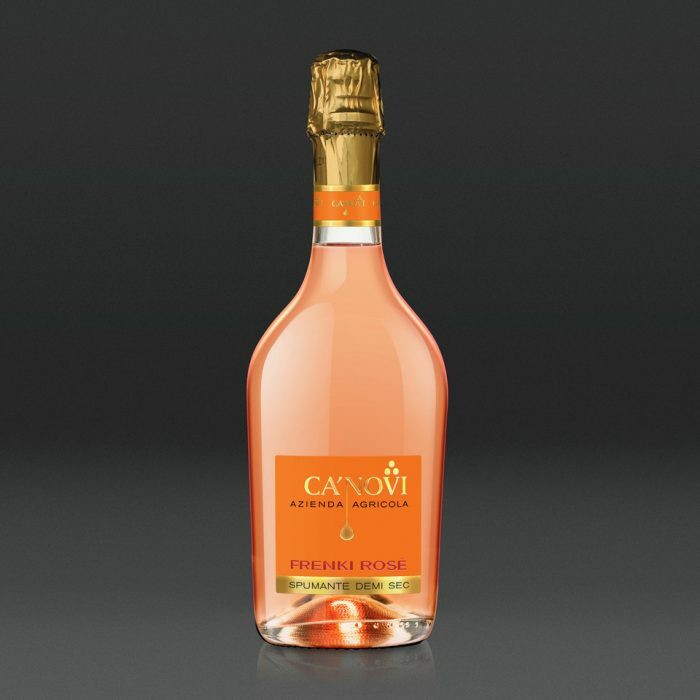 Frenki Rosè is a rosè sparkling wine produced with Martinotti-Charmat method and obtained from Manzoni Moscato grapes. Like as the Frenki Extra Dry, it's name belong to familiar nickname of Franco Cescon, the grandfather of Edoardo (Owner of Azienda Agricola Ca' Novi) that inherits from him his great passion for the land and work in vineyard. Fresh, soft and sweet at the right point. The perfect moment for tasting it is the aperitif with classic salted appetizers, but it can surprise your taste with raw fish-based plates, sushi and shellfish. It is very enjoyable also at the end of meal, with every sweet dessert.